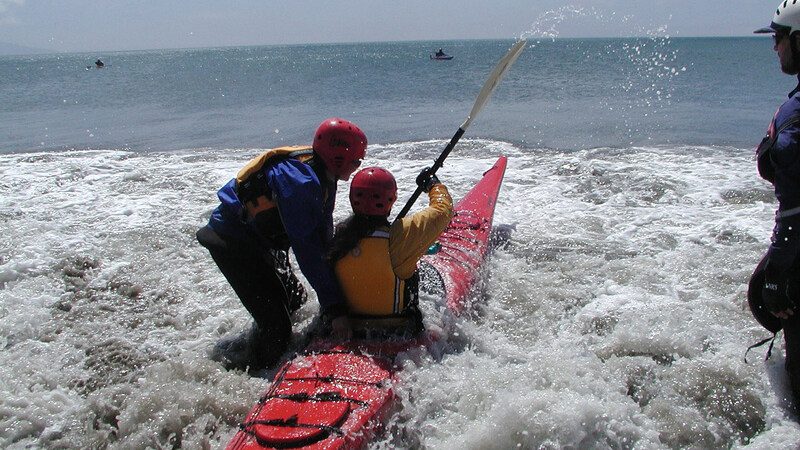 Blue Waters Kayaking is dedicated to developing sea kayakers and stand up paddle boarders with safe paddling skills, basic seamanship, knowledge and respect of the ocean environment. Our sea kayaking and stand up paddle board classes are designed for those interested in improving their skill level, as well as for those who intend to be responsible for others on the water. We are sensitive to the challenges of learning, so we maintain small group sizes in all of our courses to ensure that you will receive individualized and personalized instruction. Instructors at Blue Waters Kayaking are American Canoe Association trained avid kayakers with Wilderness Medical Training. In this class you’ll learn proper stance for balance and control, essential paddle strokes and turning techniques, as well as how to choose the right board and paddle. 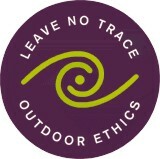 Courses will be taught by ACA Certified Instructors, and held on protected calm water. No experience is necessary. 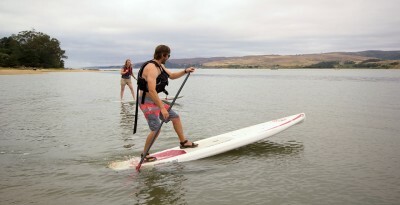 Please see our Stand Up Paddleboard (SUP) page to get more information and pricing! While the SKB focuses on the all-important recovery techniques, this follow-up class features the intermediate skills of edging, bracing, and paddling in currents. 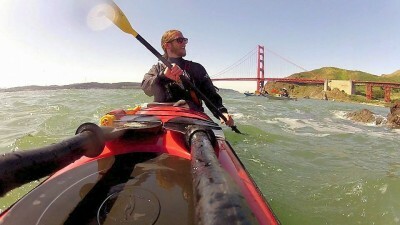 By the end of this class you should feel much more confident, and in control of your kayak in challenging conditions. 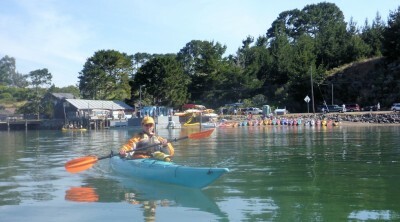 This class takes place on the waters north of Hog Island on beautiful Tomales Bay. We meet at Miller Boat Launch, and plan on paddling toward the mouth to play in the more dynamic waters near the ocean. Taught by our patient and expert ACA Certified Instructors, virtually everyone “gets it”. 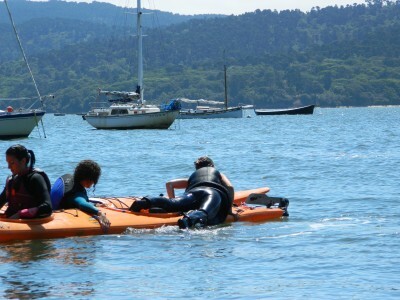 This class is a must for anyone interested in pursuing the sport of sea kayaking … and it is loads of fun. Continuing on your quest for open coast exploration, our skills III paddling class is taught by ACA certified instructors. We begin by meeting at Lawson’s Landing, (located in the town of Dillon Beach, $8 entry free), and we will head out towards the mouth of Tomales Bay. Skills training will include bracing, navigation, towing techniques, rough water recoveries, and practice reading: tides, currents, charts. A review of basic and intermediate paddling skills will give our instructors a chance to address opportunities for improvement, while helping you build on your strengths. The focus of this class is to provide personalized instruction in an exciting and challenging environment. (Pre-req: Skills Class II, or equiv.) * ($50 per person small group surcharge for groups under 4 will apply). The surf zone class will refine your paddling skills by increasing your confidence & improving your technique in a surf zone setting. This class begins with analyzing, waves, and open coast strategies. Then we review paddle strokes with a strong emphasis on bracing. On the beach, students will learn to identify the different components of the surf zone in addition to wave dynamics and timing. On the water, students will learn to identify hazards, practice launching and landing kayaks, broaching, bracing, side surfing, and different landing techniques. 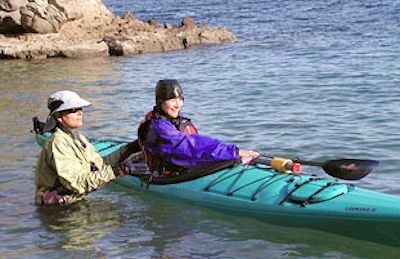 (Pre-req: Sea Kayaking Basics and skills Classes II & III)* ($50 per person small group surcharge for groups under 4 will apply). Whether a beginner looking for highly personalized instruction, or an experienced paddler brushing up or planning an expedition, Blue Waters offers a flexible program designed to meet your specific need. 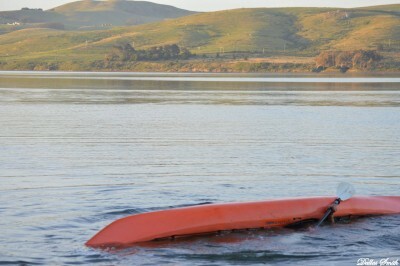 The “kayak-roll” is the ultimate self-rescue! 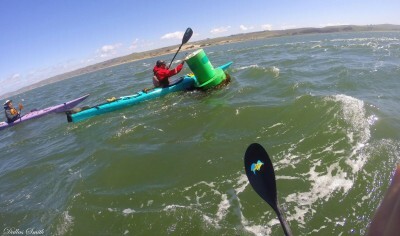 With practice and technique, it’s possible to roll your kayak after a capsize. This 2 hour course is for anyone wanting to become a confident paddler in surf, rivers, or open coast conditions. To ensure personalized instruction, the student to instructor ratio is kept at 2:1. This creates an intimate and customized learning environment. Classes are two hours long. (Pre-req: Skills I or equiv.) Above price based on two person participation. Individual instruction available at $70 per hour, 2-hour minimum. This 3-hour refresher for paddlers in closed-deck single kayaks is a chance to connect with old friends on the water, meet new friends, and practice basic skills. Wet exits, mid-water re-entry techniques, use of a paddle float, and assisted rescues can be reviewed depending on participant’s needs, or just paddle around and have fun! Successful completion of SKB required. Sunday afternoons 3 – 6pm. Often called the “sea kayakers playground,” San Francisco Bay offers amazing opportunities to learn advanced kayaking skills. This class is taught by ACA certified instructors. We put in at Horseshoe Cove and we will be paddling alongside the stanchions of the Golden Gate Bridge or around Angel Island (weather and group dependent). Skills training will include bracing, towing techniques, hands-on navigation, rough water recoveries, and practice reading: tides, currents, charts. All classes are subject to a minimum sign up for the class to start. Conditions that may affect safety, such as extreme weather, may cancel the class. Since weather is very hard to predict, we will advise you as soon as possible regarding the status of the class. Feel free to contact Blue Waters if you have any concerns about prevailing conditions. The status of the Surf Zone and away classes will be up to the discretion of the lead instructor the morning of the class. *Sign up for all 4 skills classes and the roll clinic to receive a free 10 hour paddle pass — value $300!